Below you can view all the homes for sale in the Wildwood Green subdivision located in Raleigh North Carolina. Listings in Wildwood Green are updated daily from data we receive from the Raleigh multiple listing service. To learn more about any of these homes or to receive custom notifications when a new property is listed for sale in Wildwood Green, give us a call at 919-928-5027. Huge rooms, 1st floor bedroom, AMAZING VIEWS! MLS#2248582. 4772. No city taxes but min from shopping, dining MLS#2243310. 2034. Call today to get a viewing. MLS#2240442. 4239. No City Taxes, Pool & Tennis Included In Hoa. 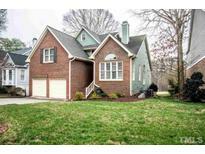 Leesville School MLS#2237027. 5194. Modeled after homes in Charleston, SC, this home offers open concept living with room for guests and entertainment galore! MLS#2234473. 1319. Maintenance free grounds.. No city taxes. MLS#2229074. 3974. !Enjoy Lots of activities in the neighborhood including pool & tennis. MLS#2200361. 1127.